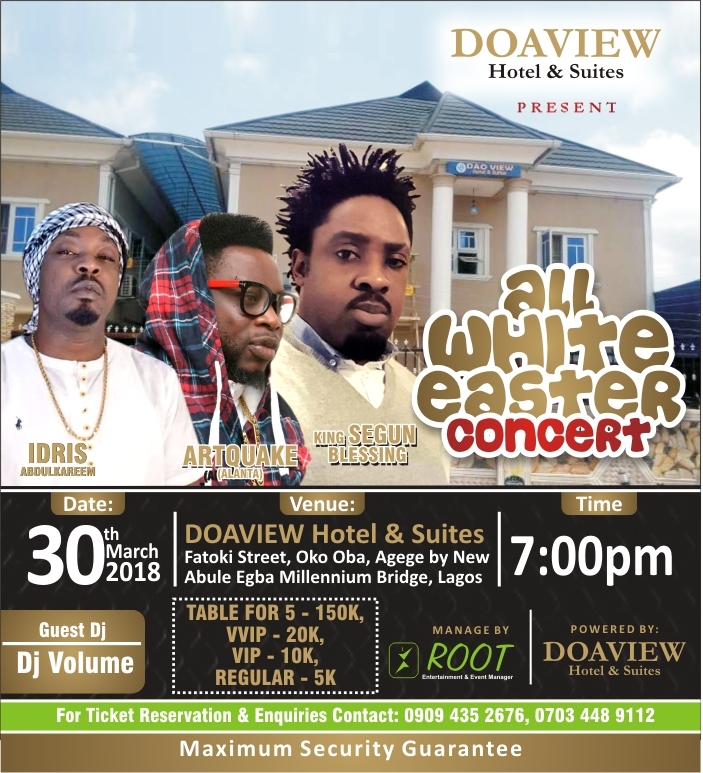 All is now set for the March 30th, 2018 evergreen All White Easter Party at Daoview Hotel and Suites, Oko Oba Agege, Lagos. The concert which is going to pull some of the best artists like; DJ Volume, King Segun Blessing, Artquake, evergreen Idris Abdulkarem and other top musicians and DJ's across the nation, will come up on Easter Good Friday, March 30th, 2018 to celebrate the Easter period. Managed by one of the best event consultants in Nigeria, Root Entertainment and Event, the show which will start by 7pm till Mama calls will feature music, comedy and lots of dances. 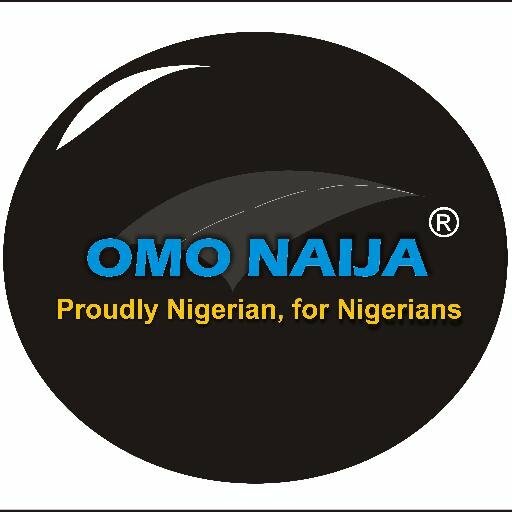 It is powered by Doaview Hotel and Suites, Fatoki street, Oko oba, Agege by new Abule Egba millennium bridge, Lagos. Table for 5 is #150k, VVIP #20k and Regular - #5k.